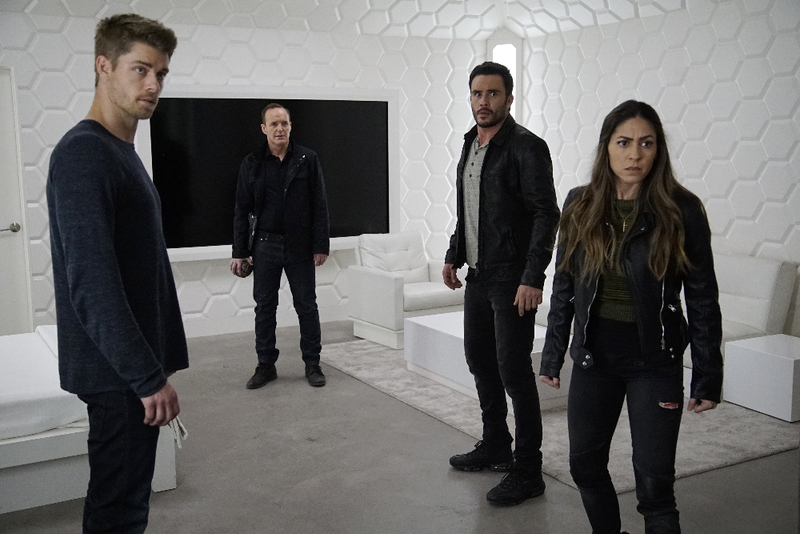 ABC has released some new photos from Marvel’s Agents of S.H.I.E.L.D.’s upcoming April 19th installment. Guest starring are Juan Pablo Raba as Joey Gutierrez, Powers Boothe as Gideon Malick, Natalie Cordova-Buckley as Elena “Yo-Yo” Rodriguez, Mark Dacascos as Giyera, Gabriel Salvador as Lucio and Rob Silverman as Kevin. “The Team” was written by DJ Boyle and directed by Elodie Keene. Follow @ScreenSpy on Twitter | ScreenSpy on Facebook for more SHIELD scoop. MARVEL'S AGENTS OF S.H.I.E.L.D. - "The Team"